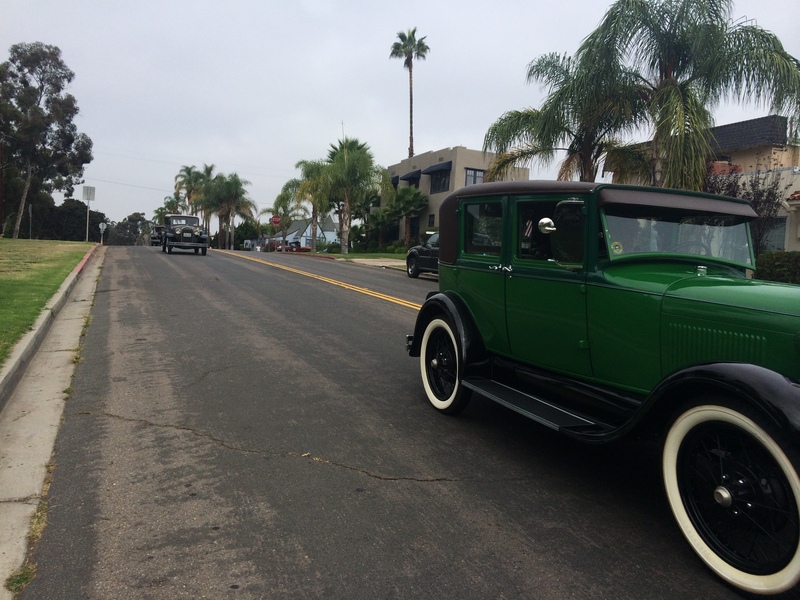 I ran into a mini road rally of about a dozen 1920’s – 1930’s cars this morning near the Park. They drove down Texas St, all together in a little parade. I couldn’t resist passing them on my bike, and shouting through an open window, “Get a horse!”. (That’s what they used to scream at broken down motorists a hundred years ago.) All in good fun. They sounded their claxons while I took their picture.